Parenting matters. It matters a lot. Children are the future and our future will literally be in their hands one day as they become the leaders of society. So, we owe it to both them and ourselves to give parenting our best shot. I have always believed it’s a mutual journey of personal development both for yourself and your child. It is a journey that will feel like it is going by in the blink of an eye at times, and at others it will feel interminable. For this I have a saying: The days may be long but the years are few. Make the most of each, and every, one! Amazingly, one day you will miss some of the tedious, minute details of daily parenting! It’s a journey that will demand that you continuously do a dynamic balancing act because there is no such thing as perfect balance. 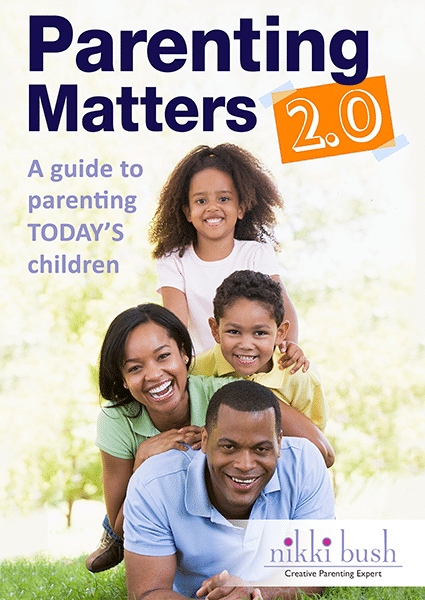 Take the words Supermom and Superdad out ofyour vocabulary now! To be effective parents today we need less perfection and more connection. It is a journey that will teach you more about yourself every day as you are in the process of helping your child discover who they are. May you parent out of love, not fear, with the aim of helping every family member to expand, evolve and grow – to become more than they were before!